A jumping castle or an animal farm will have people talking about your party (oops, I mean your child's party), perhaps until the next kid in the grade has a birthday. However, if you don't feel like organising a gala event for your little darling's birthday this year, there no need to fret. How about a simple affair at one of the locations listed below? Each of these places is the perfect venue for an old-fashioned, laid-back, dare I say relaxed, kids' party. These places are rarely crowded and all offer shaded areas, free street-parking and loads of space. Feel free to extend an extra invite to a clown or a face painter, or both, if for some reason you feel uncomfortable about keeping the party as simple as a play and a piece of cake - there is the room, if not the need. It would be wise to have a back-up plan in case of rain. 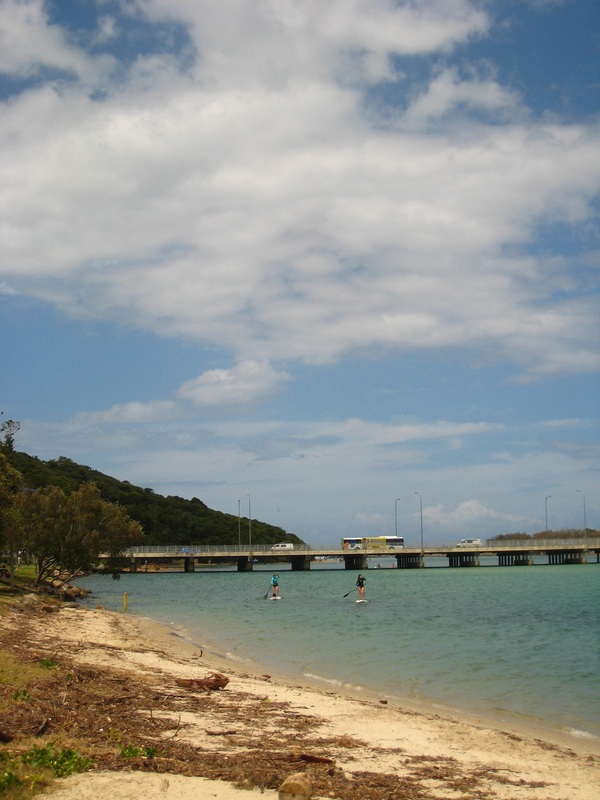 There are many aspects of Tallebudgera Creek to enjoy, including those covered by Weekend Notes here. My favourite part of the creek is parallel to Awoonga Avenue in Koala Park. Here is the location on a map. This spot is delightful. 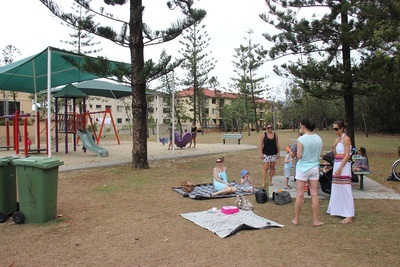 It has picnic tables and barbeques (but not many), a large grassy area shaded by trees, a sandy beach, calm water for swimming, and an outdoor shower. It also has a boat ramp, making it an ideal venue for a party with a boating or fishing or water-skiing theme. Drawbacks: No playground equipment. No toilets. No lifeguards - ensure there are plenty of adults in attendance. Ideas for party games: A sandcastle building competition. Games with water toys - body boards, stand-up paddle boards, kayaks, tubes. This park is a hidden gem; many locals do not know it exists. It is a block back from Nobby Beach on a side street which sees little traffic. 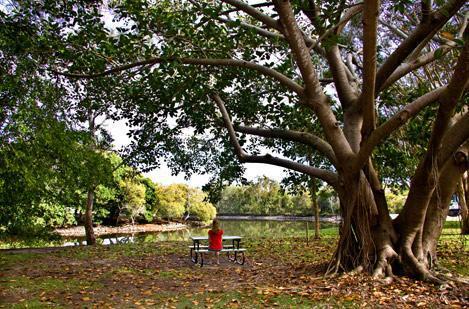 That the park's location is marked incorrectly on the Gold Coast Parks website is unlikely to help its profile. Here is the (correct) location on a map. 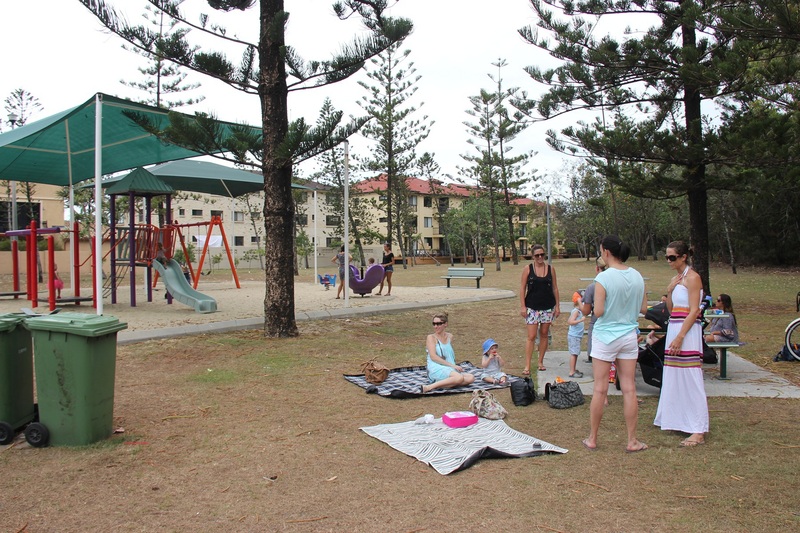 The park has a playground, two picnic tables and an open grassy area which is perfect for playing party games. Trees provide shade, as do the canvas sails over the playground. Drawbacks: No toilets. The park is hot in summer because it is sheltered from the sea and land breezes, though this is perhaps a draw-card in winter. 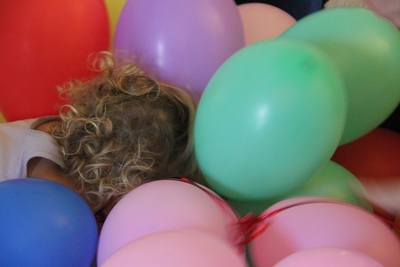 Ideas for party games: Races - sack, three-legged, egg and spoon. A treasure hunt. A key attraction of these lovely gardens is the large playground with a three pony carousel and a Liberty swing for children in wheelchairs. Other features relevant for a children's party include: sealed pathways suitable for biking and scooting and plenty of picnic tables and barbeques. Further information about the gardens, including its location on a map can be found here. Drawbacks: Nothing comes to mind. Please let us know in the comments section if you think of something. Ideas for party games: Ball games on the large lawn. The pinata game. Why? A fun party does not have to be elaborate or expensive. When: Daytime. Best when the sun shines. 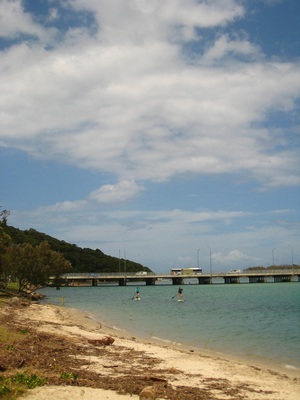 Where: Tallebudgera Creek at Koala Park. Lions Head Park at Miami. Cascade Gardens at Broadbeach.